LOSS IS A JOURNEY OF HAVING LEARNED. Today, I decided to write a different type of article. A lot of friends and relatives are suffering with serious illness, job loss, or death, and I happen to know quite a bit about loss since beyond being a writer, I am also a Certified Grief Recovery Specialist. I lost my oldest daughter at the age of 20, and the “what happened” is not the topic for this platform. This is about Loss period. The loss of job, loss of loved ones, loss of a relationship, loss in a divorce or custody battle, even the loss of a pet, impacts greatly not only how resilient we are, but how much our faith, and sometimes even our sanity, will be tested. In dealing with loss, our most natural tendency is to ask the big question, “why?” We go over that in our mind – we wrestle with God over it, we blame or challenge someone, or sometimes – just stay angry and bitter to no avail. 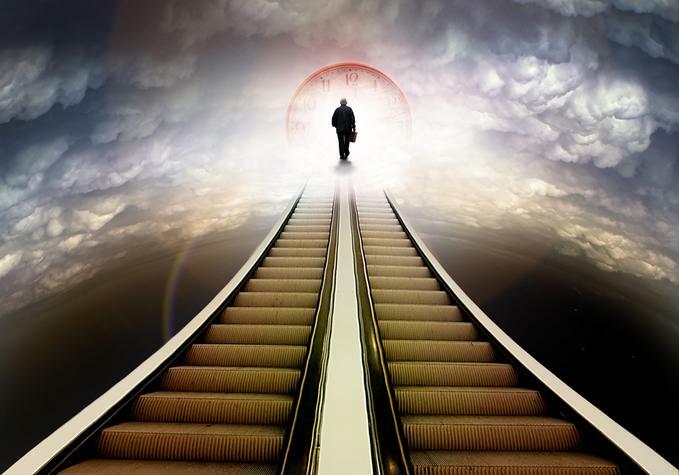 Like life, death is also a journey…almost like a summation of one’s meaning on this earth – whether it’s the death of a job, relationship, or the death of a loved one. It’s a time for contemplation, but also a time for renewal. The journey we take on, in death or loss, is one of survival and growth. Will the pain and disappointment ever stop? Will I even get another job as good as this one? Will I be able to sleep at night without my sweet dog Scuttles. Will I get cancer like my Mom or Dad? Will I ever find someone else to love me after this divorce? The list goes on and on. The good news is that death and loss does invite renewal to life; it is determined by how our mind perceives it, how we internalize it and the acceptance of an “examination” of both our physical, and/or our spiritual life. When one experiences a loss, it is a time for contemplation. We must go through a process and experience the grief of the loss; and we must embrace the new with faith and a new determination of purpose in our lives. There are lessons to think about as we grieve the loss…what did we learn from the experience… how we dealt with the ugliness of it, or the bittersweet memories we take with us. If a relationship was bad, or less than we wanted or needed from the deceased, did we grieve the disappointment? Did we mourn the fact of what “couldn’t be?” If it was a job loss, did we take away just anger, or surf though what that job was to us, what we learned from it, the experiences we had and the relationships we enjoyed? When we are overwhelmed with grief, the pain, fog, and confusion is there to protect you. Even the anger is there to keep us from not being able to cope all at once. That is why there is a process. The process is a gift we didn’t know existed until we went through it. Anyone who has suffered loss will tell you how their life changed and how much they learned from the process…because life is a journey – even in death or another loss. It is a call for renewal of the soul; we change through understanding, forgiveness, growth, and a deeper appreciation for this life, no matter what the circumstances. We will know we have grown; we know we will survive, and we will have a deeper meaning to our own personal journey and those of our loved ones, co-workers, or loving pets. PREVIOUS POST Previous post: How do you love unconditionally?